Serving northern Illinois with two locations, Parson’s Collision Centers provides complete auto body repair services for all types of vehicles. Parson’s is proud to offer everything from touch-up painting and refinishing services with expert color matching, to precision frame straightening and collision related repair services using state-of-the-art technology and equipment. Our paint & body technicians have over 20 years of combined experience. We take pride in providing only the absolute highest quality of service available in the industry and we guarantee all of our work. Working closely with your insurance company to get the job done right, we make sure there are no hassles to you. 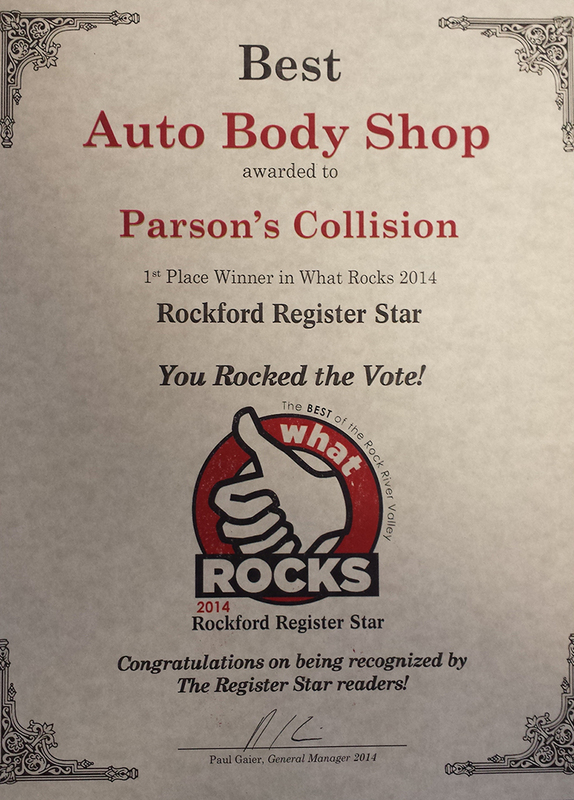 By law, you have the right to choose the best body shop to perform your insurance repairs; choose Parson’s Collision Centers!